Cruise ship lines are responsible for ensuring safe conditions for passengers and crew, but poor maintenance, lack of security, and improperly trained crew and staff often are the cause of significant dangers on board. Frank L. Branson and his team of experienced lawyers can handle cases involving onboard accidents, including pool and recreational area accidents, food poisoning and other illnesses, medical staff negligence, cruise line excursion injuries, and wrongful death claims. Our attorneys are able to represent passengers, families, and crew that have suffered personal injury or accidental death on cruise ships from ports across the country, including Florida and Galveston, Texas. The legal team at The Law Offices of Frank L. Branson will handle legitimate cruise ship accident claims against all major cruise lines, including Carnival Cruise Lines, Royal Caribbean International, Disney Cruise Line, Princess Cruises, Celebrity Cruises and Norwegian Cruise Lines. 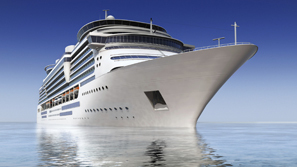 To learn more about our experience in cruise ship injury matters, we invite you to contact the firm here.